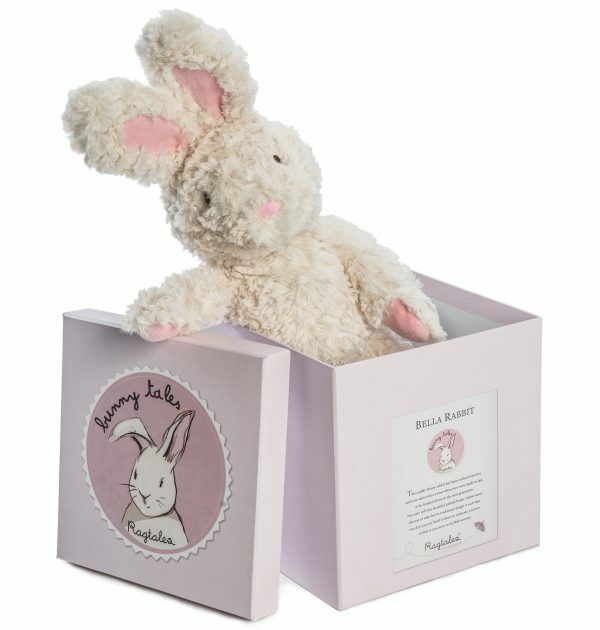 Bella Rabbit measures 49 cms in height and is presented in a beautifully designed cube gift box measuring 18.7 cms x 18.2 cms x 18.7 cms. 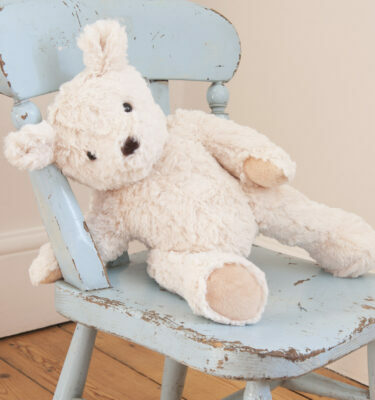 She would make a gorgeous gift for a birth, baby shower or christening. 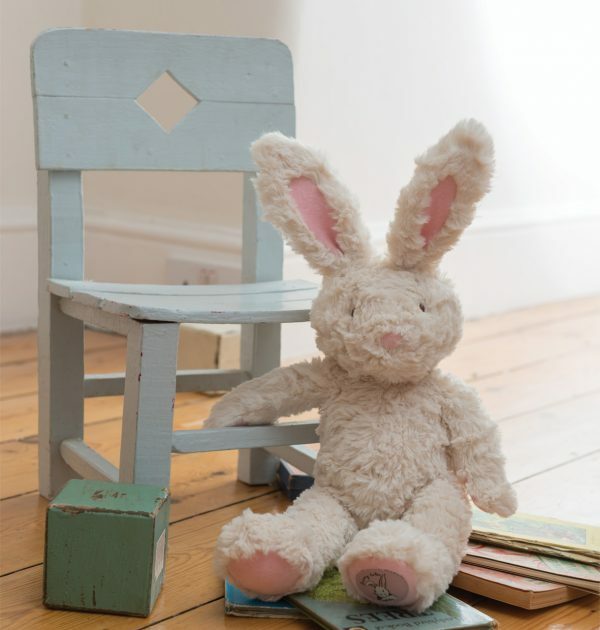 Traditionally British designed, Bella rabbit is a cute and cuddly soft toy Rabbit. 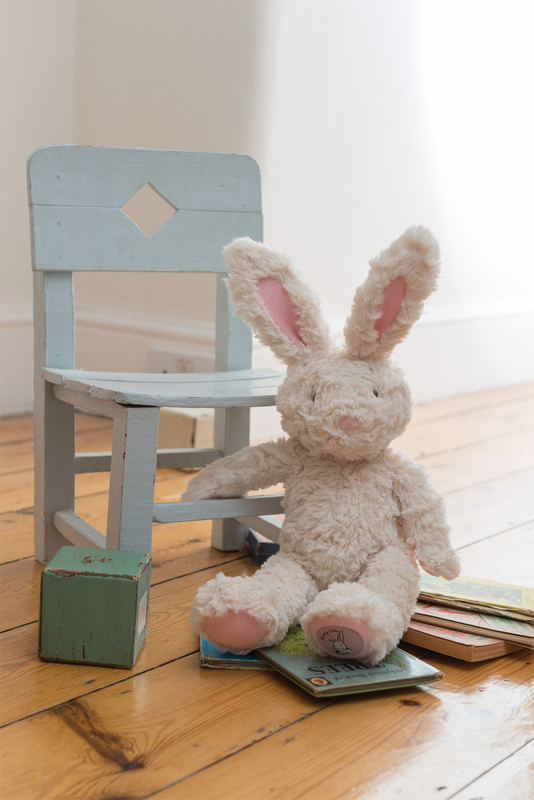 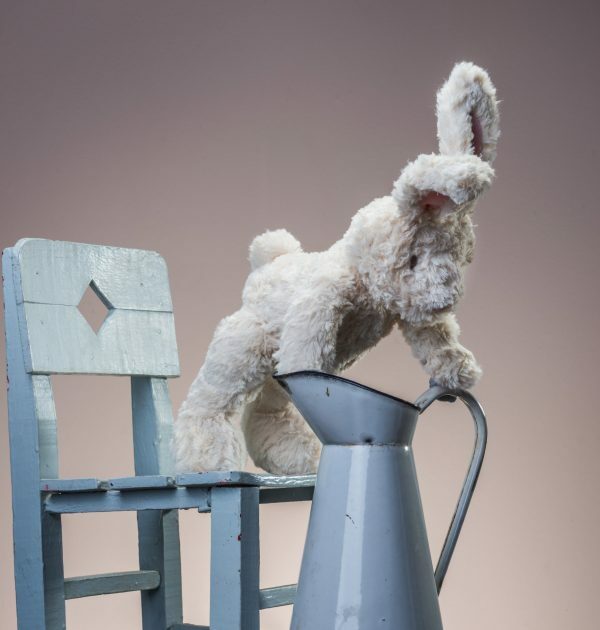 In keeping with British Heritage traditions, British Rabbit Bella represents a part of native Britain. 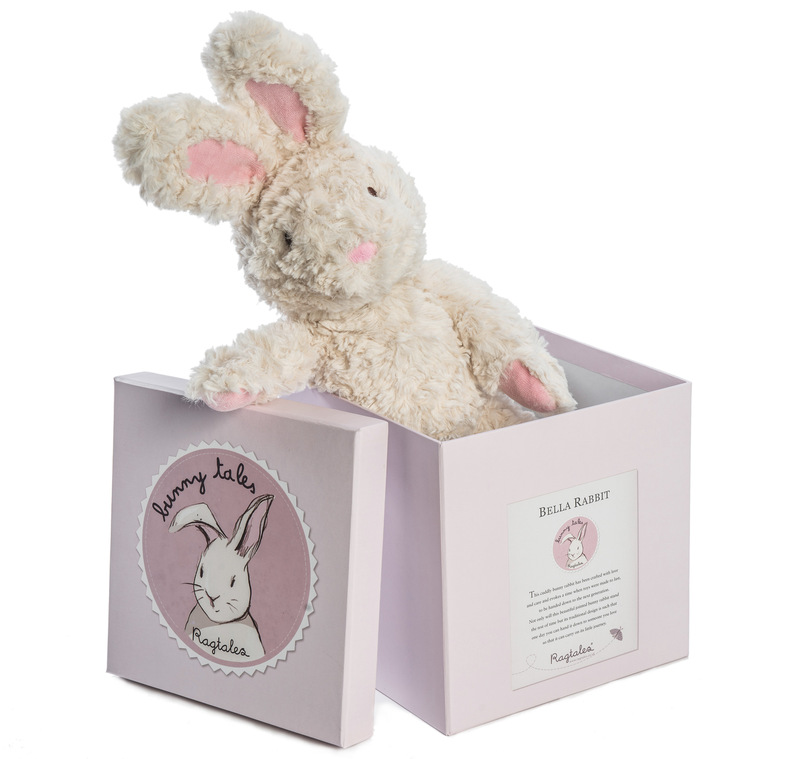 Produced using the highest quality materials thus making her tough and durable, Bella may be handed down through the generations. 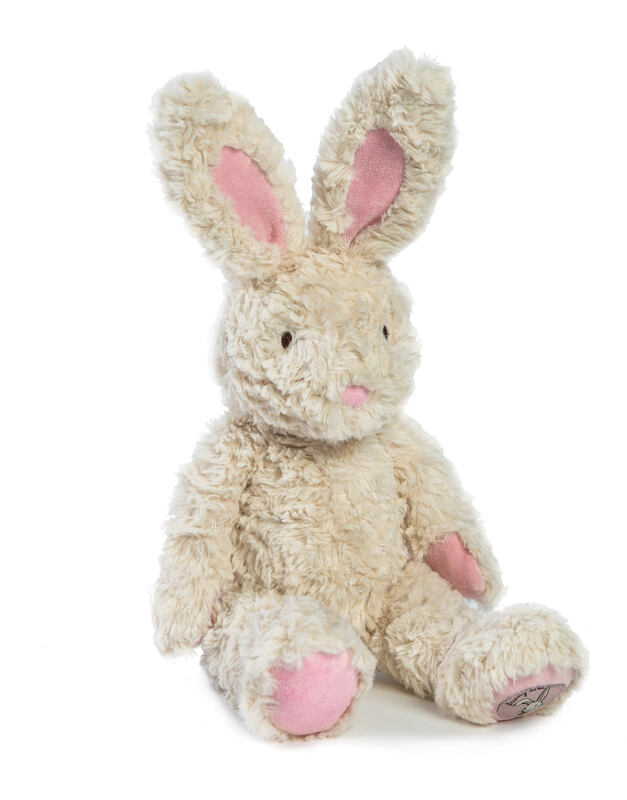 She has soft and fluffy cream coloured fur, jointed legs and pink patch ears. 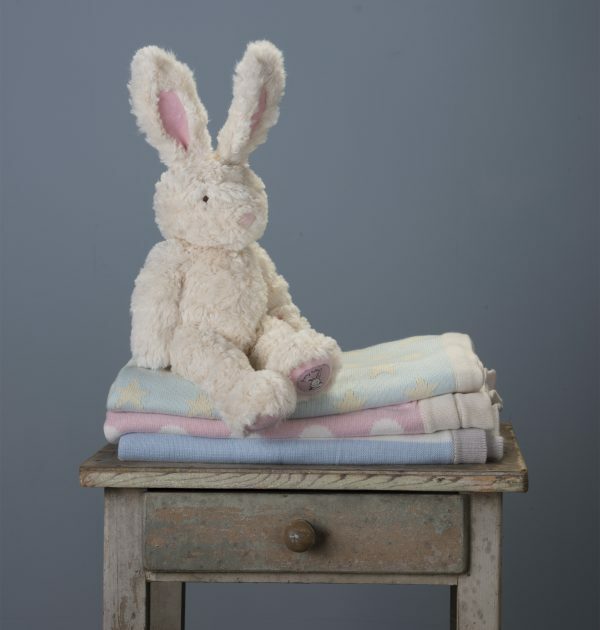 Her sweet expression is produced with embroidered eyes and an embroidered pink nose. 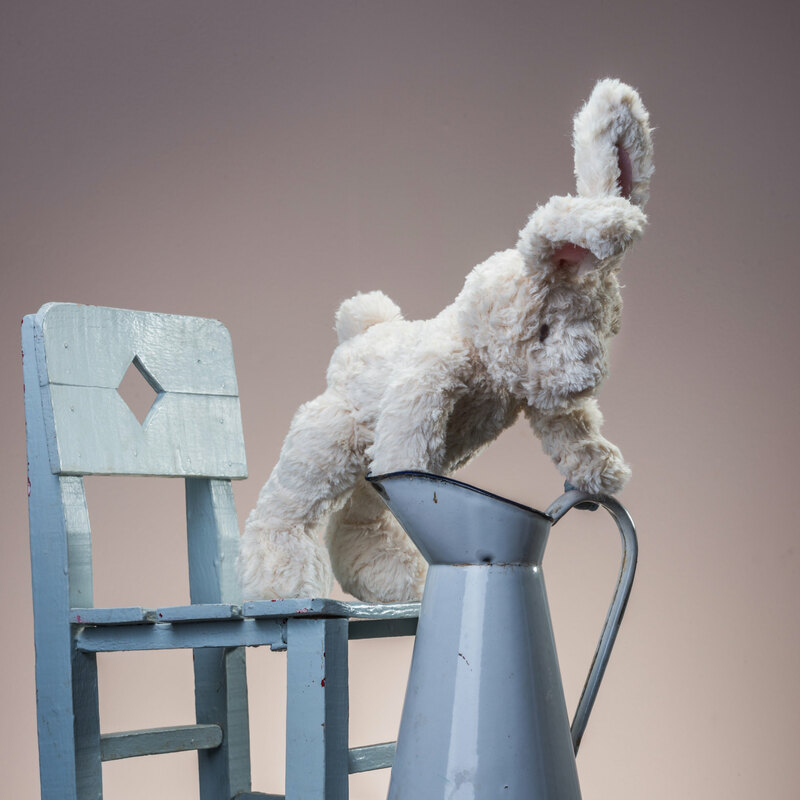 She is perfectly weighted in the base so that she can sit prettily on any shelf, and she also has weighted paws making her more poseable. 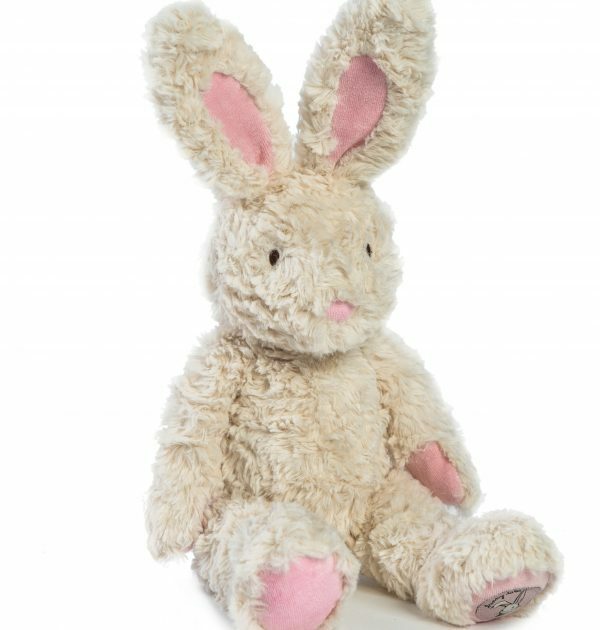 Being so adorably soft and cuddly, she would make an ideal play time friend or loveable snuggling bedtime companion. 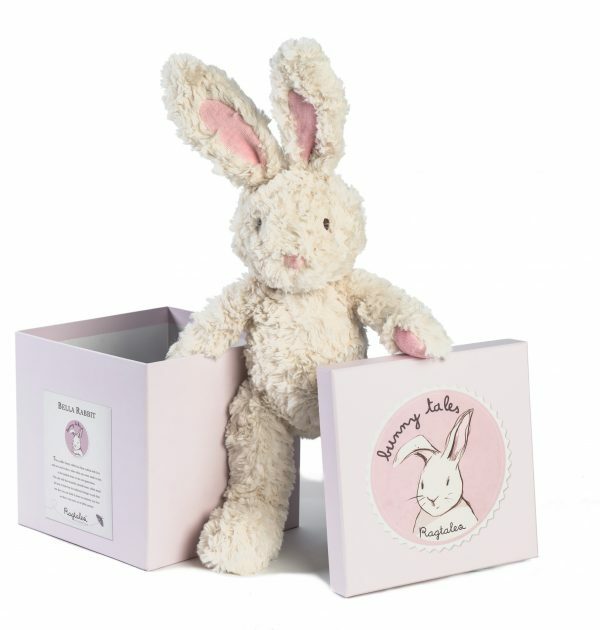 Bella Rabbit measures 49 cms in height and is presented in a beautifully designed cube gift box measuring 18.7 cms x 18.2 cms x 18.7 cms. 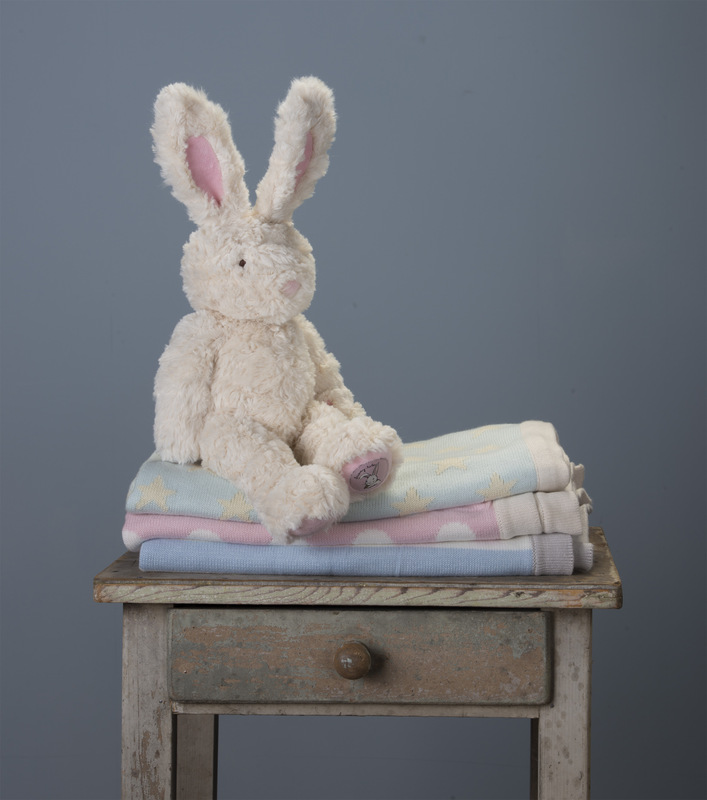 She would make a gorgeous gift for a birth, baby shower or christening.